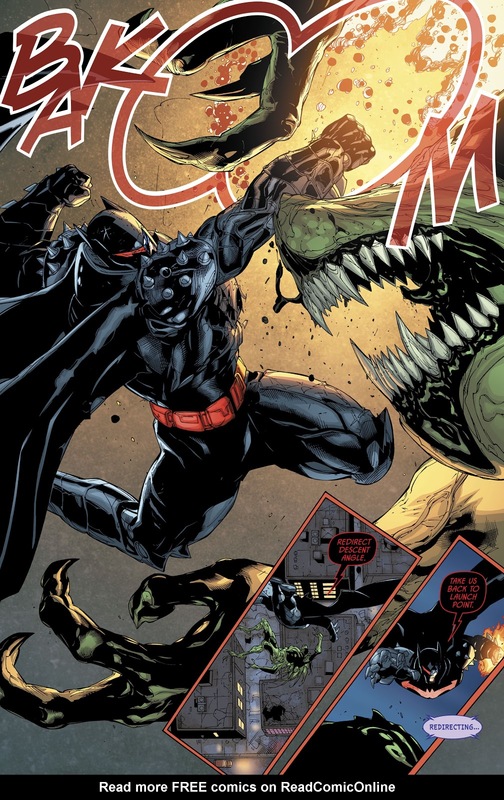 Always a pleasure to see Batman using the Hellbat, which was created with help from members of the Justice League. 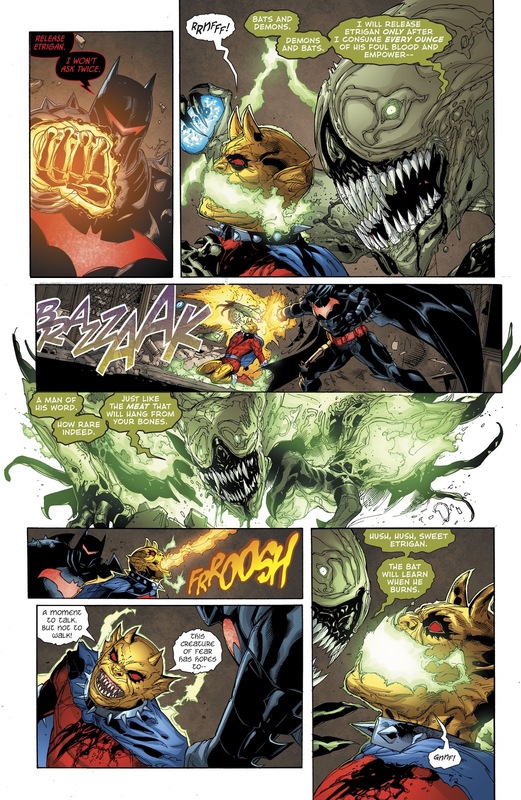 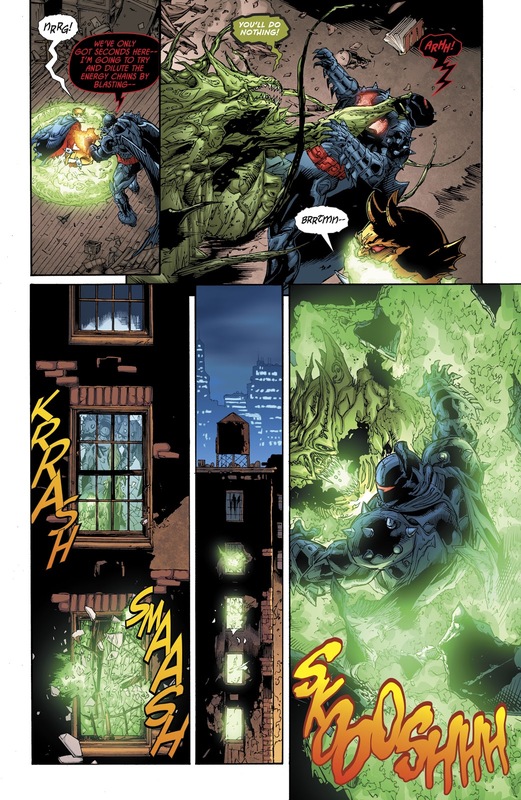 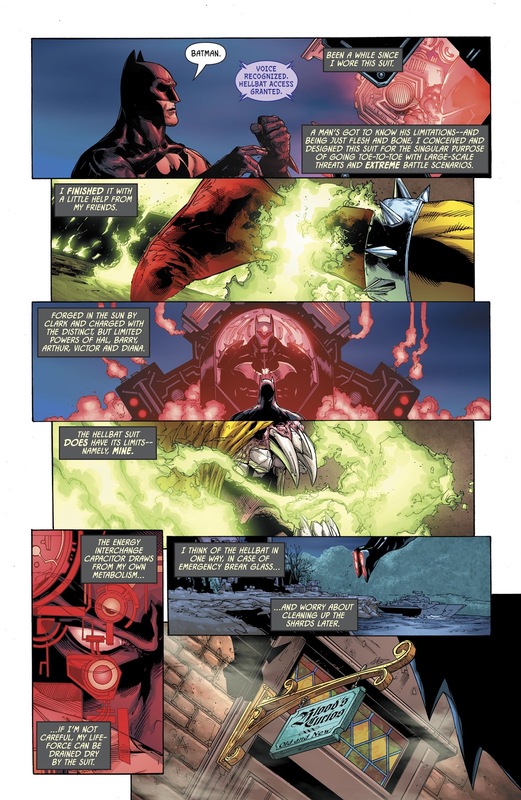 Batman was able to use it against Darkseid but this issue shows it can also be used against demons, or the magical. 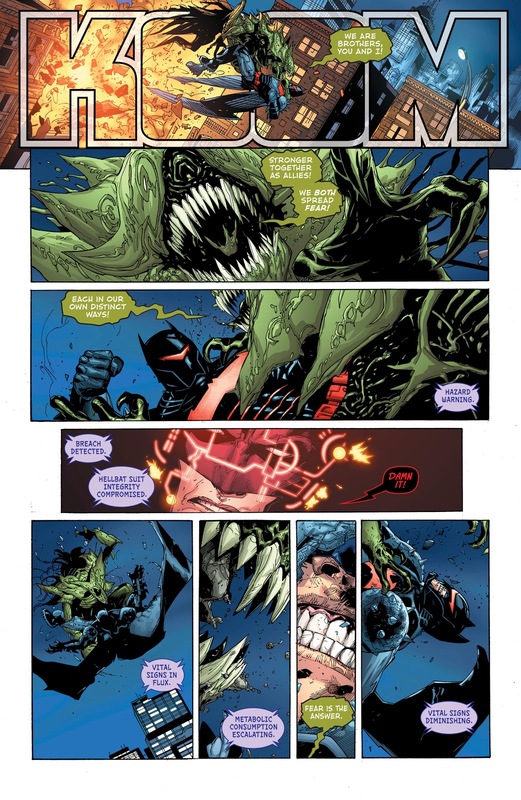 Interesting to see that new feature, the Devastator. 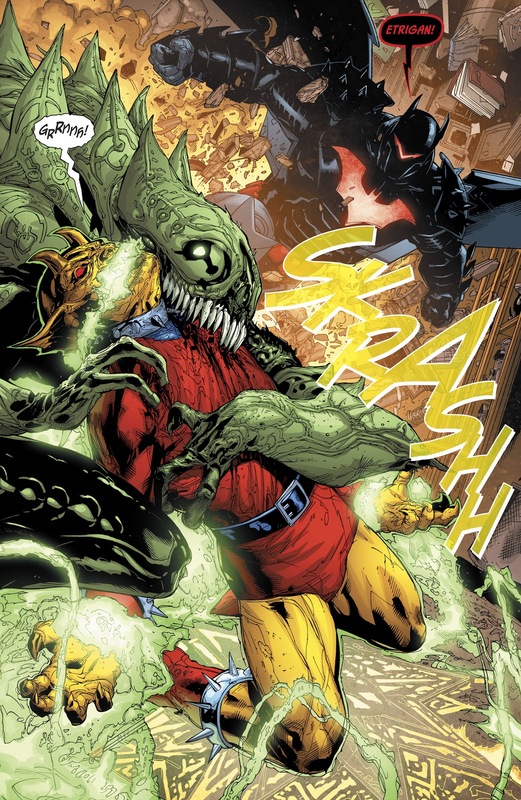 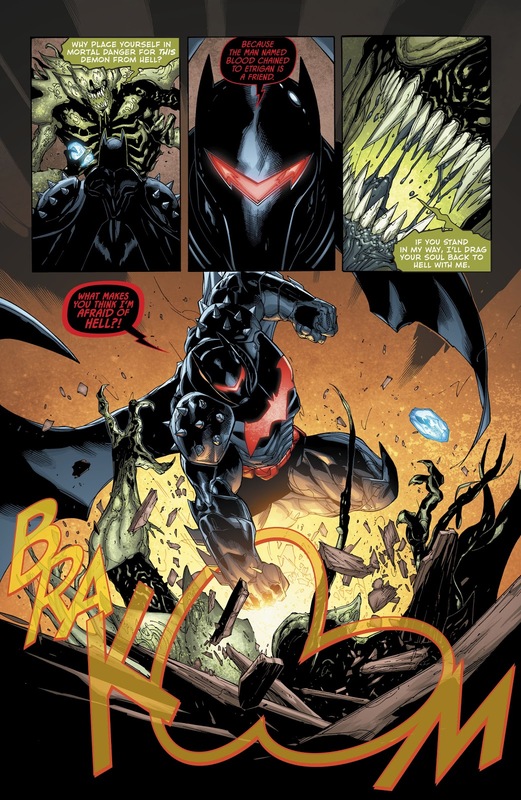 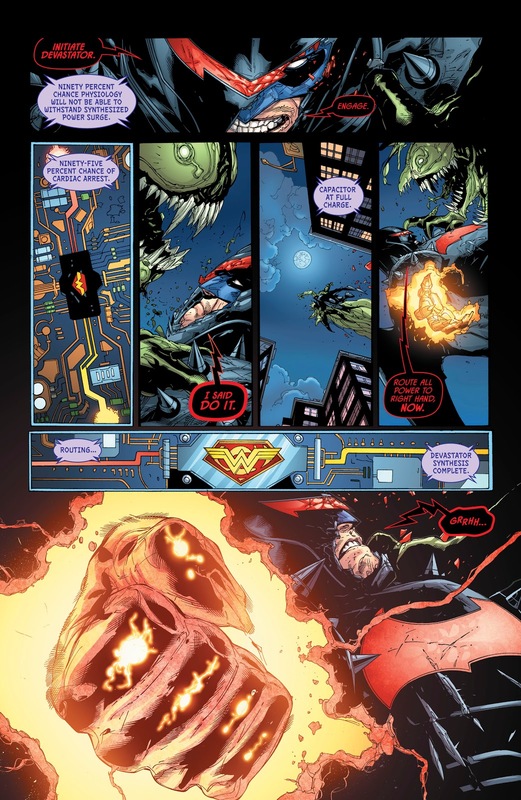 The two chips symbolizing Superman and Wonder Woman combined together and gave the Hellbat suit a massive power surge.